Ohio Medicaid Annuity — Daniel P. Seink Co., Ltd.
On July 31, 2009, the Tenth District Court of Appeals for Ohio issued a decision which held that a provision of the Ohio Administrative Code restricting the purchase of annuities by community spouses to be contrary to federal law and thus invalid. Individuals are to be cautioned, however: first, the Vieth decision may not be recognized by Medicaid outside of Franklin County; second, several other cases are pending in other appellate districts in Ohio, which may lead to contrary decisions thereby requiring ultimate resolution by the Ohio Supreme Court; third, utilizing an annuity may not be the best option for a couple faced with long-term care costs (see the illustration outlined below, and remember that the state of Ohio must be named the first remainder beneficiary on the annuity - other than a minor or disabled child). UPDATE: On May 29th, 2012, the Federal District Court for the Northern District of Ohio issued a decision which overturned the decision in Vieth, holding that the state of Ohio may restrict the purchase of an annuity by community spouses to an amount not exceeding the resource allowance authorized by federal law. Hughes v. Colbert (U.S. Dist. Ct., N.D. Ohio, No 5:10CV1781, May 29, 2012). The appeal on this case before the Sixth Circuit reversed the District Court by decision dated October 25, 2013, following much of the reasoning set forth in the decision by the 10th Circuit in Morris v. Oklahoma Dept. of Human Services (10th Cir., No. 10-6241, July 9, 2012). Hughes v. Colbert (6th Cir., No. 12-3765). However, continuing through 2014, the Ohio Department of Medicaid has continued to defy the Circuit Court ruling in Hughes (as well as Vieth and several other appellate court decisions on the issue). A preliminary injunction has been issued by the Ohio Southern District Court in Wagner v. McCarthy (Case No.1:2014cv00648) requiring the Ohio Department of Medicaid to recognize Hughes for the named plaintiffs in the case, but a petition to extend the certification and certify a class to include all similarly situated persons in the state of Ohio is still pending. The term Medicaid annuity denotes a type of account that may permit a conversion of countable assets into a private pension for the individual at home or in the nursing home. Comprehensive changes to the rules regarding Medicaid annuities became effective in November, 2002. These changes provided greater clarity regarding the use of Medicaid annuities in Ohio. However, subsequent changes enacted in June of 2005 and October of 2006 by the state of Ohio, and federally in February 2006, reintroduced confusion in the Medicaid-annuity arena. 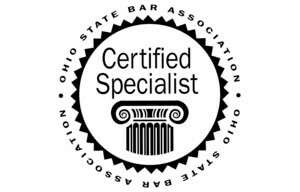 Use of information not specific to the state of Ohio or without consideration of the recent changes can cause devastating results. Most insurance agents have no training regarding Ohio Medicaid annuities. Many that do have some training receive their information from out-of-state sources and/or are not current regarding the new rules. For instance, an article issued by an insurance company offering "Medicaid friendly" annuities in Ohio states that, in those circumstances where an individual enters a nursing home and there is a healthy spouse at home, the agent should advise the spouse at home to purchase an Ohio Medicaid annuity to avoid a spend-down of assets. The unfortunate person following this advice in Ohio may later find that their spouse will be ineligible for Ohio Medicaid for months or even years, and that the funds necessary to pay the bills during this period of time are now unavailable due to the annuity. The insurance companies and the literature they provide to their policy holders universally proclaim that the purchase of an annuity for Ohio Medicaid purposes only should be done under the direction of an experienced elder law attorney, but this disclaimer is often overlooked by the agent or simply glossed over in the face of a commission. Ohio Medicaid annuities can be extremely powerful tools in planning for long-term care and in dealing with current nursing home situations. (See Case Studies 1 & 4 for examples of appropriate uses). As noted above, however, their use can be like walking through a mine field. Use of the wrong type of annuity, for instance, may result in denial. Even when a qualified contract is used, the election of the wrong settlement option or the wrong term can spell disaster. Similarly, the selection of the incorrect owner, annuitant or beneficiaries can be fatal to the plan. The timing of the purchase of the annuity or the pensioning of the contract is essential. Finally, the policies of the State Medicaid Department change periodically without notice or change in the laws and regulations, and enforcement by each county office may differ. It also must be recognized that they are not the best tool in every situation. For example, Robert enters a nursing home. His wife Edith remains at home. They have a residence (with a $30,000 mortgage), a car (loan balance of $10,000), $40,000 jointly in the bank between checking, and savings, and Edith has a retirement annuity in the amount of $40,000. Edith receives $690 a month in income from Social Security and Robert receives $1,100. If Edith pensions the annuity (which may be subject to challenge by the local Medicaid office), she would receive approximately $450 each month from the annuity. She otherwise would be entitled to keep half of the $40,000 as her resource allowance, and would have to spend down the other half. The $20,000 spend down goes towards paying off the mortgage. The budget indicates that she is entitled to receive $1,750 in income each month, so she receives $610 from Robert's income ($1,750-$1,140 from her Social Security and her annuity). The rest of Robert's income ($490.00) is paid to the nursing home every month. She still must make payments on her car loan. Edith does not pension the annuity. She is now entitled to keep $40,000 as half of the countable assets, and must spend down the other half. She spends down the other half by paying off the mortgage and the car loan. She is now debt free and has an additional $20,000 in the bank (as compared to Option 1). Additionally, she still receives $1,750 per month in income ($1,060 from Robert's income). Only $40 per month from Robert's income is paid to the nursing home (in actually, Robert would be able to retain this $40 as his personal allowance, meaning Medicaid would pay the entire bill). Again, the Ohio Medicaid annuity can be an extremely powerful tool when planning for or contending with long-term custodial care, possibly preserving tens of thousands for the use of the spouse at home. The recent estate recovery rules and beneficiary requirements have affected the use of annuities, however, as a planning tool in reference to preservation of assets for heirs. 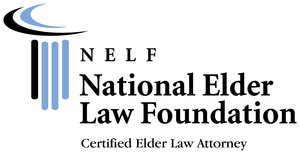 Because of the complexities and pitfalls, they should only be utilized following consultation with and under the direction of an experienced elder law attorney. Those financial advisors who recommend consultation with an elder law attorney are those most likely to be looking out for your best interests.